Bold and ambitious plans for the development of the site of the former Mecca Bingo hall in the High Street were approved by Ashford Borough Council’s Cabinet, with the scheme heralded as a major part of a wider town centre regeneration strategy. 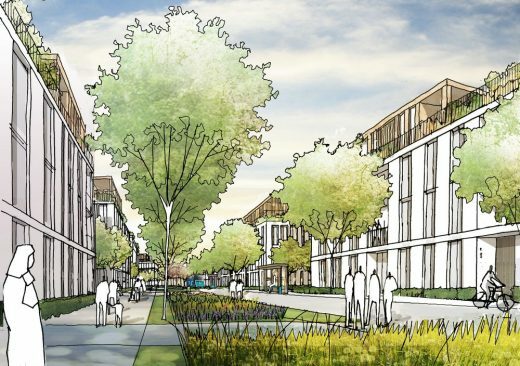 Architecture firm PRP has been appointed as lead architect and masterplanner on The Western Village in North Kent, by joint venture development partners, Clarion Housing Group and Countryside. The development is set to deliver up to 2,600 new homes. Kent School of Architecture’s (KSA) annual summer exhibition of student work will be opened by renowned architect, teacher and writer Charles Holland on Friday 15 June 2018. The show opens in the Marlowe building on the University’s Canterbury campus at 18.00 with awards presented to students at 19.00. 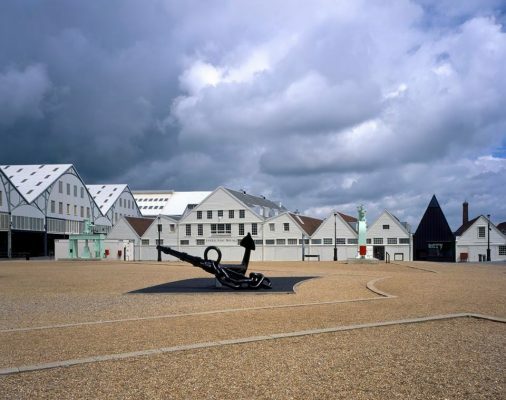 The exhibition is then open to the public from 09.00 to 17.00, Monday to Friday until Friday 29 June. Admission is free. 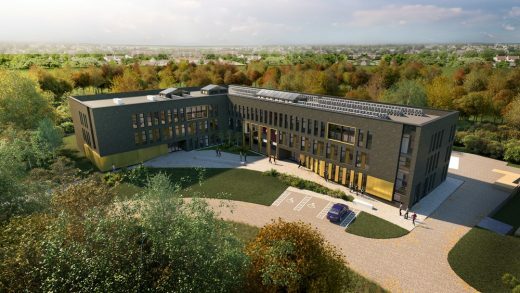 This year will be the 13th annual show and it explores the theme of ‘Architecture and More’ to demonstrate the diversity of research that students explore within the school. It celebrates the breadth of subjects that students interact with through their studies in architecture such as art, photography, music, literature and science. Charles Holland is the founder of Charles Holland Architects (CHA), an international architecture and design studio. Before forming CHA, he was a founding director of Ordinary Architecture and a director of FAT Architecture. 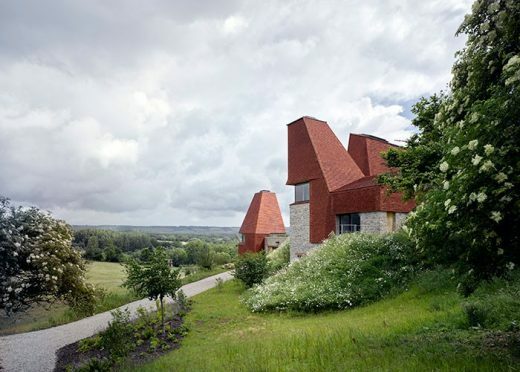 Whilst at FAT he was the director in charge of a number of key projects including A House For Essex, the practice’s collaboration with artist Grayson Perry. 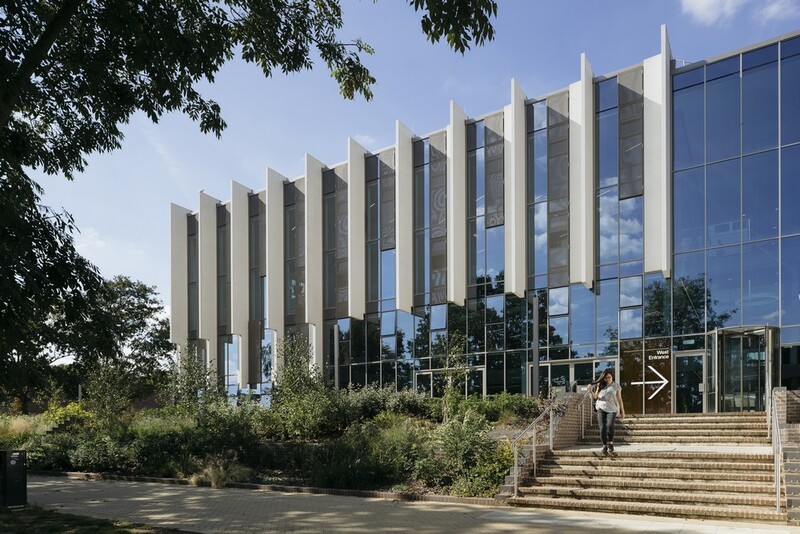 The University of Kent (UoK) has commissioned a new School of Economics, designed by Bond Bryan Architects, which achieved planning consent in August 2017. 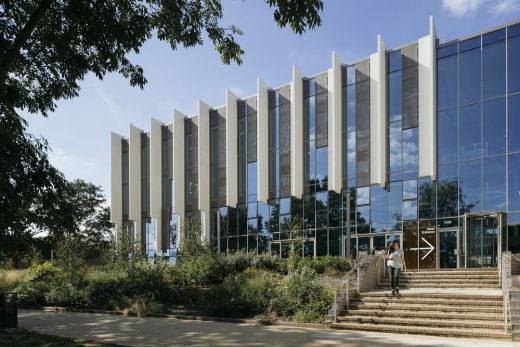 This is part of UoK’s continued investment into its Canterbury Campus Masterplan and part of a new Business Hub focusing on Economics, Business, Maths and Statistics & Actuarial Science. 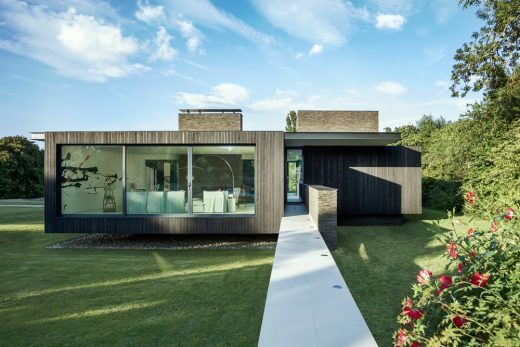 Black House is a contemporary property drawing its influences from both the historic and modern buildings of Kent. A retired engineer and Conran interior designer chose to move from a 15th century Tudor house and build a contemporary dream home in their garden. 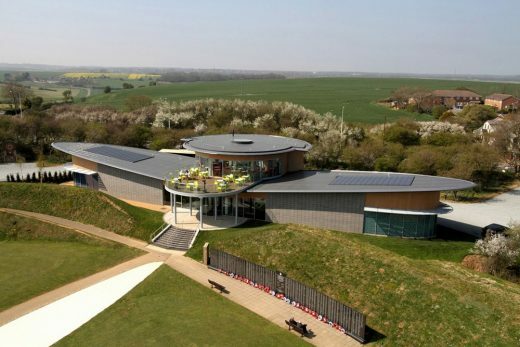 Kent Design and Development Awards winners news. 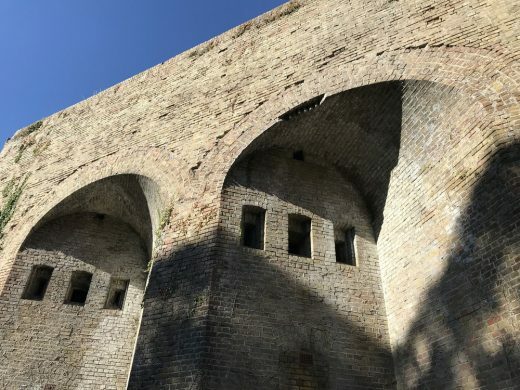 When Thanet District Council gave artist, Alex Chinneck, permission to use an empty property in Margate, Kent to create a major new public artwork – “From the knees of my nose to the belly of toes” – little did they know quite how famous the project would become. Not only has the national media loved the work, key products have been highlighted as integral to the build; and none more than the ever-flexible Sterling OSB from Norbord. Gareth Hoskins Architects are announced today as the winners of the competition to work with Bird College to redevelop and rationalise their facilities onto a single site solution in Sidcup, Kent. Bird College is an internationally renowned provider of education and professional training in dance, music and theatre performance. 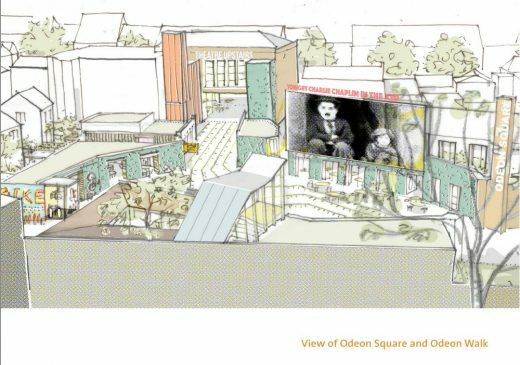 Assael Architecture has unveiled its vision for the Dreamland Margate site at a public enquiry into whether Thanet District Council will be allowed to compulsorily purchase the former fun park. 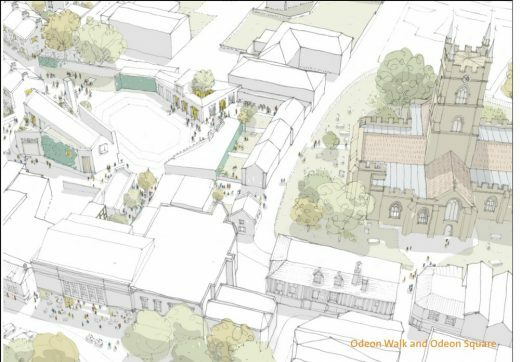 Assael is the fifth architectural practice to be appointed and the only one to protect and reuse the Grade II* Cinema and Scenic Railway as part of a low density housing scheme designed to attract inward investment. Guy Hollaway Architects’ design for Folkestone’s new high profile restaurant- Rocksalt- has been completed. The architects’ thoughtful and well-executed design elevates the harbour-side building on a pale green slate plinth and cantilevers it out over the water, creating 430 sqm of space and offering visitors stunning views.